Have you lost your magic, sunshine and sparkle? Are you living the life of your dreams? Or do you feel like you have lost yourself and your sparkle along the way? We know, because we have been there before, it is easy to forget about yourself when you are so busy looking after everyone else! Through our Follow the Sun Retreats, we not only inspire you to create your own sunshine and live the life of your dreams, but we connect you to other like-minded and inspiring women who feel the same. These ladies are are also passionate about travel and are enthusiastic about living a healthy, happy and whole existence! 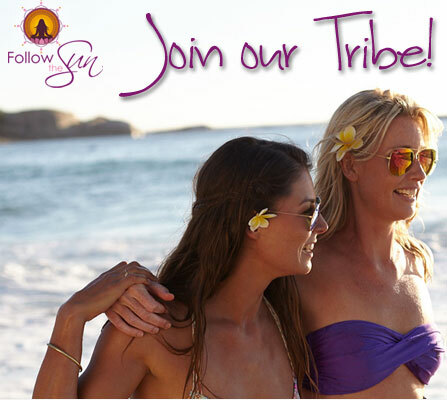 If you would like to rediscover your light, sparkle and radiance again in a fun, gentle and light-hearted way, then connect with and join The Follow the Sun Tribe. Let’s support and inspire each other as we create our own sunshine!